Greetings and welcome to our new website! This is the home base for Space Barbarians Productions and all of the various projects we are currently working on and developing. The blog will be updated frequently as well as other sections of the website. Right now we are just a small group of filmmakers, writers and composers lead by Matt Kollar and Colin Walker but we have big ideas and also the right kind of talented people to execute these ideas. Currently we are developing the science fiction/action adventure show Yggdrasil, but we have big ideas and many places we want to go. I don't know if we are as good of filmmakers, but we are definitely as beardy as these guys! 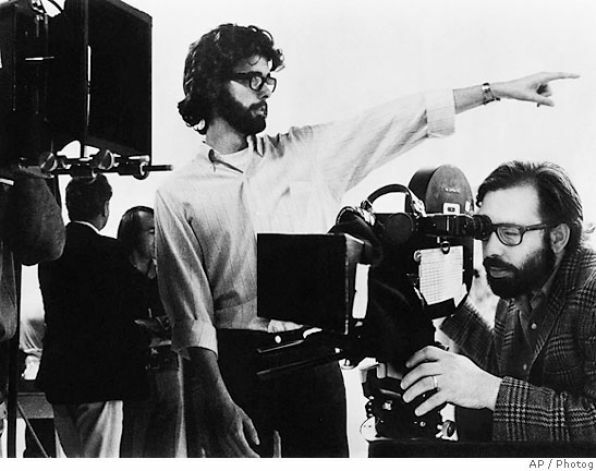 In the 1970's when George Lucas and Francis Ford Coppola first began making feature films out of school they dreamed of a day when they could free themselves from the stringent studio system and independently produce their own content. Of course we all know what happened, Coppola used his own funds, resources and fierce independence to create classics like Apocalypse Now and Lucas made probably the biggest impact anybody has had on the film industry in the last 4 decades with the creation of "Lucasfilm" and all of the various technology that has stemmed from the company. The least of which was the first digital non-linear editing system that eventually gave way to AVID and other programs... Just saying. Don't get me wrong, I'll admit that despite the atrocities of the early 21st century I am still a huge fan boy. However, Lucas himself did not build the system, or any of the other incredible tech that Lucasfilm was creating for that matter. If he did when turning on their non-linear editing system some semi-racist, minstrel show voiced computer would most likely welcome you to the; "Muy muy good non-linear editing system!"... Just saying. 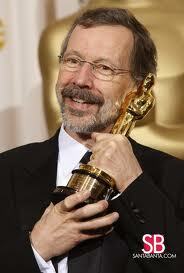 Ed Catmull was one of those brilliant engineers who helped push Lucas's graphics forward. Sure, he is a big time Disney suite now, -aren't they all?- but he was once just some beardy egg-head with a vision. But no, Lucas was a visionary who contracted his work out to brilliant engineers to create this new technology and let me tell you the new 20 something filmmakers should all be incredibly grateful! As i've said to many friends and any one that will listen to my rants, we do not yet have the "ILM" to our George Lucas, or the "WETA" to our Peter Jacksons, but it is something we are actively looking for. Young men and women who are passionate about graphics and effects and want to push boundaries, just like we are planning to do with filmmaking. A beardy egg-head with a vision. Speaking of pushing boundaries, another personal hero Peter Jackson has been able to carve a niche out in his beautiful home country of New Zealand by making movies pretty much on his own terms. Anyone who is actively working in the California film industry knows that there is a great migration away from the state going on. I guess the opposite of the dustbowl Great Migration, go figure. Of course some of this can be attributed to tax purposes and cost of living, but also we now have the ability to shoot movies literally anywhere, so why not take it out of state, out of country show audiences something new. Just like Peter Jackson, we hope to carve our own niche out on our own terms. A not so beardy egg-head with a vision. 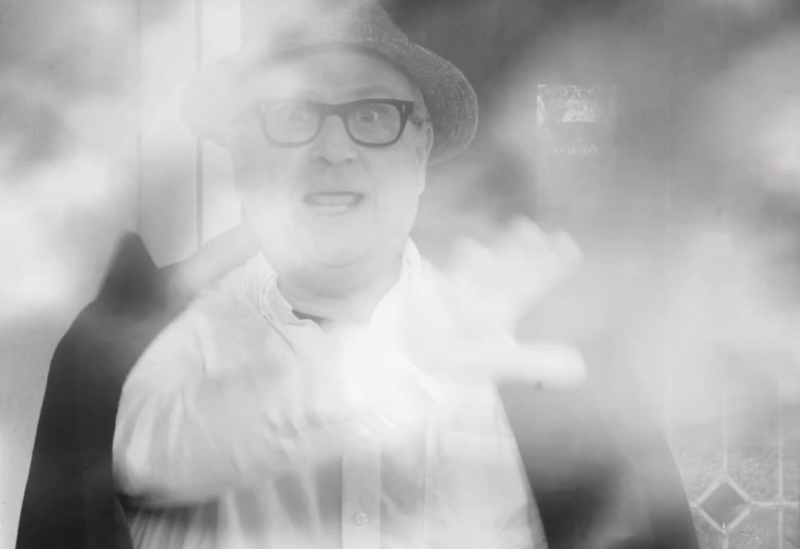 Equally as good of a storyteller as all of these gentleman mentioned above is writer/filmmaker Bobcat Goldthwait. Just check out his new found-footage feature Willow Creek for instance. That film was made totally on his own terms and now it is exploding in the cult-film community and selling out at international horror-film festivals. Not because of a massive budget, but because of great storytelling and execution. The wonderful thing about living in the time we do is that we have incredible technology available to us as filmmakers that can stand up to anything big studio pictures were creating 20 years ago! That's amazing and I really think it is a fine time to be a filmmaker because now we have the good fortune of worrying less about getting the necessary tools for creating a professional project and concentrating more on telling great stories; because that is really what this is all about at the end of the day. New 4K camera's, Super 35mm and consistently better CG is not anywhere near as important as storytelling and I think as a new generation of filmmakers we have the opportunity to show the world that we actually have something to say and that we can say it in an intelligent way without having an explosion or car chase every 20 seconds. The floodgates are open and because of portable digital technology and streaming sites like Netflix, Amazon and Hulu we are able to shoot all around the world and broadcast our films and television series all around the world. This is pretty cool if you ask me. Check out the great actor/director/producer Bruce Campbell giving an incredible lecture on the benefits of modern filmmaking, where it could go and how hard it was for him and Sam Raimi to make their classic horror picture Evil Dead in the 1970s.